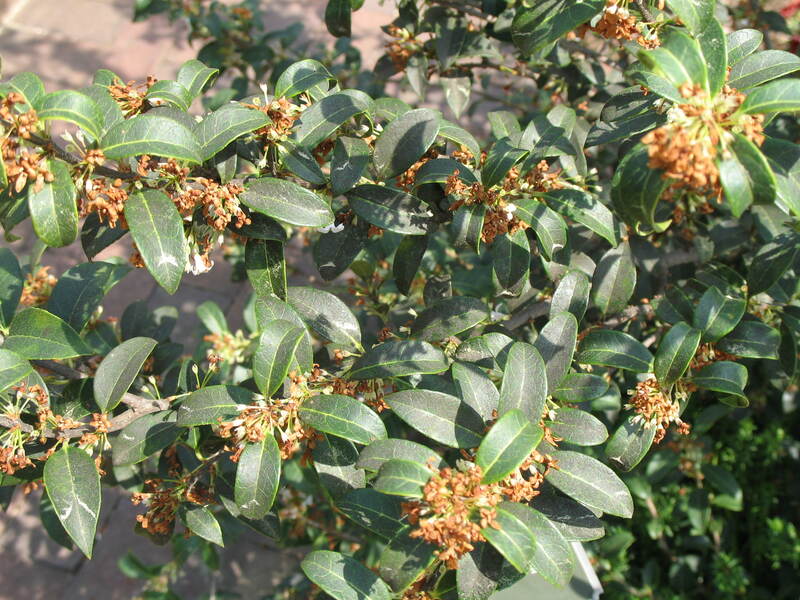 Comments: Drought tolerant, this evergreen osmanthus has white flowers in spring and no fruit of consequence. It has lustrous dark green foliage and can be used as a specimen, in containers and as screen hedges. The bark on the stems is an interesting coppery color.